What if there was a single component you could add to your coaching that would get total commitment from your players, create better relationships with your parents, and possibly help you win more games? Jim Thompson shares this component and more in the newest Way of Champions Podcast. 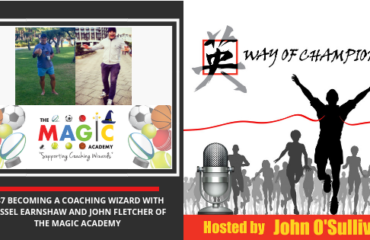 He also discusses the knowledge, strategies, and advice he has learned from some of the world’s greatest coaches in his 20 year journey of “Developing Better Athletes, Better People”. Listen in to hear more. Jim received an MBA from Stanford where he was Director of the Public Management Program, named during his tenure as the nation’s top non-profit business management program. He has written nine books on youth sports including: Positive Coaching, The Double-Goal Coach, Shooting in the Dark, Elevating Your Game and Developing Better Athletes, Better People. 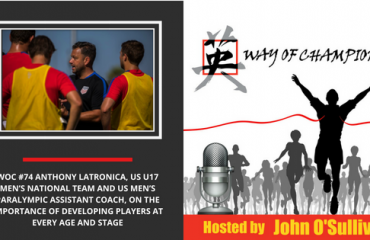 15:15 Where did it all go wrong in youth sports? 29:15 Is Positive Coaching Alliance making a difference in youth sports?